A total of 40 balls were hit in the water on the par-3 17th in 2011. PONTE VEDRA BEACH, Fla. — Question: Who is the only player to birdie the famed par-3 17th hole at TPC Sawgrass all four rounds of THE PLAYERS Championship? The answer is below, but first here’s a look at how the diabolical hole has played in recent years. Of the players in this year’s field, no one has found the water surrounding the island green more since 2002 than Aaron Baddeley and Heath Slocum, both of whom have rinsed their tee shots a total of seven times. Phil Mickelson is second with six balls in the water. Now for the answer to the question about the only player to birdie the 17th all four rounds: Paul Azinger, who accomplished the feat in 1987. Brian Gay, meanwhile, was the last to birdie it the first three rounds, which he did last year before making par in the final round. 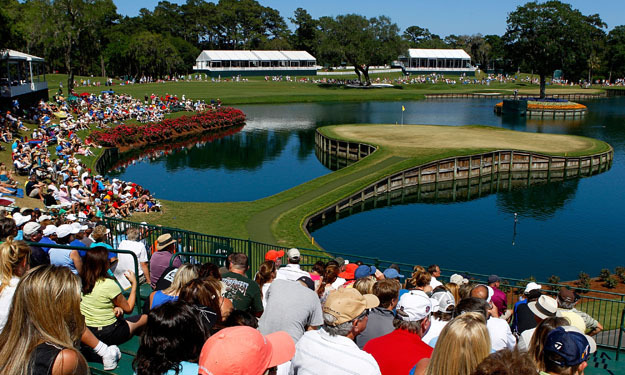 Previous The Players Championship: Golf’s 5th Major?